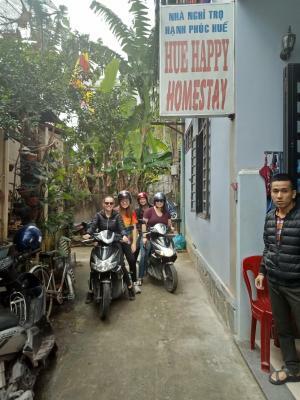 Lock in a great price for Hue Happy Homestay – rated 9 by recent guests! They were so friendly and helpful. They even gave us a fruit plate and tea when we first arrived to check in which was nice. Location (right in the center, close to bars and restaurants and riverside), but in a quiet alley. The family running the place is welcoming and helpful. The place is basic, but clean and central on a quiet alley. The host family is helpful. 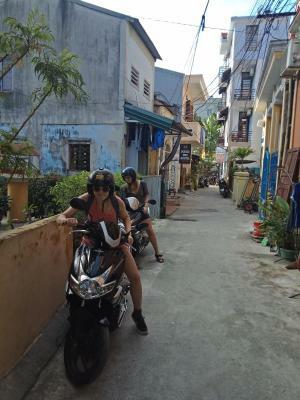 Moped n bicycle rental by neighbor is reasonable. 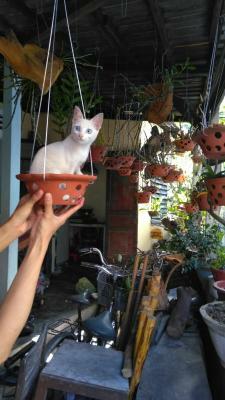 The owner was really friendly and it was right in the city center. I was there only a night but could have stayed longer. 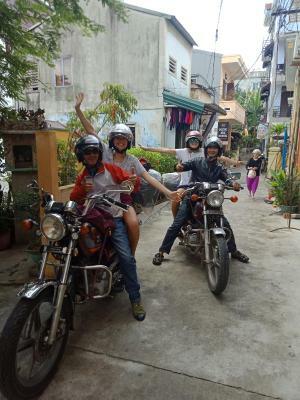 The family who own it are really nice, and help you organize your stay in hue or your transport out. Beds are comfy and rooms are nice, social enough for me and nice atmosphere. The owner of the hotel was friendly, respectful, and honest. About three hours after checkout it was revealed to me I got overcharged by about 100K VND, and he went out of his way to make sure I got my money back. He acted honestly and with integrity, and I really appreciated the respect he showed me by doing so. In addition to an unscrupulous manager, the hotel was quiet, conveniently located, and clean. 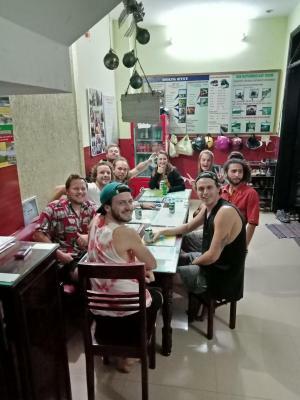 This hostel is incredible value for money. 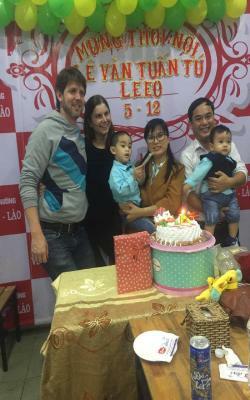 Viet and his family will make you feel so welcome. You get a lot of choice for breakfast (including fresh fruit, yum) and it's very well located. There's a helpful sign to point you on your way. 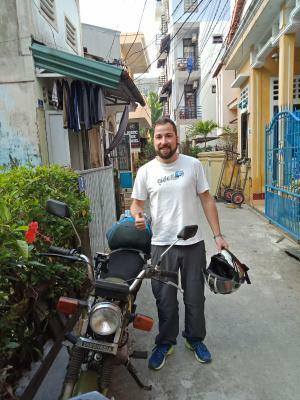 They helped me arrange onward travel to Phong Nha and it was very easy. I would recommend this hostel to anyone. 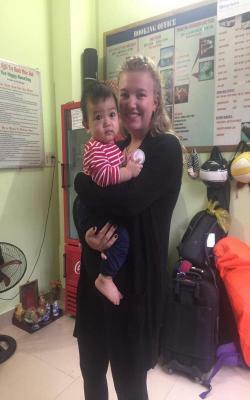 Really lovely family, lovely home stay, great location. 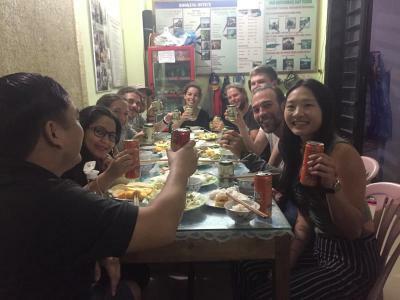 A nice free breakfast was included and we got a free beer between 7-8pm which was a good time to meet other people staying in the hostel. They organised a tour for us which was a good price and brilliant. Highly recommend! One of our best sellers in Hue! 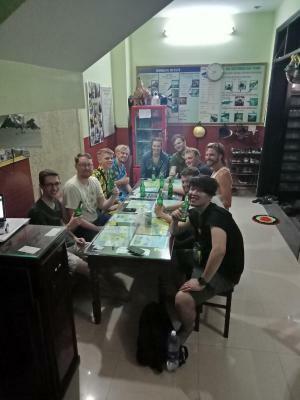 Located in the backpacker’s area, Hue Happy Homestay is 650 feet from Huong River and 2,650 feet from Dong Ba Market. It offers complimentary WiFi access throughout its premises. 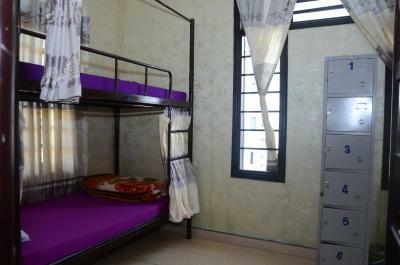 Each room and dormitory room offers air conditioning, a fan, free towel, free city map and views of the city. Regular rooms also come with cable TV and a mini-bar. Bathrooms are either private or shared. Guests have access to the shared kitchen, free one beer from 6pm to 9pm, fruit, tea and coffee during the time you stay. 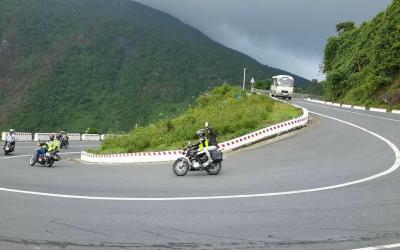 The owner can also assist with ticketing, laundry, ironing and transport rental services. 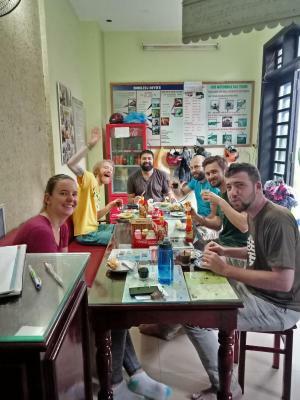 The homestay is 2,950 feet from Trang Tien Bridge and 0.9 mi from Chieu Ung Pagoda. Phu Bai Airport is 8.7 mi away. 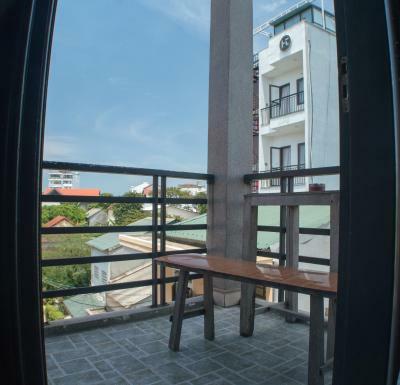 뀐 Located in the top-rated area in Hue, this property has an excellent location score of 9.5! 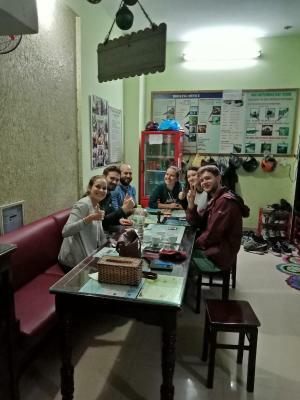 When would you like to stay at Hue Happy Homestay? 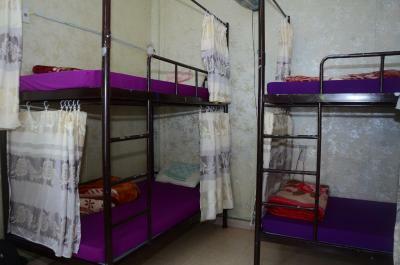 Each dormitory room offers air conditioning, a fan and views of the city. Bathroom facilities are shared. 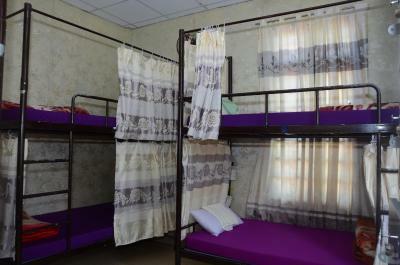 This dormitory room accommodates up to 6 guests on bunk beds. Rate is for 1 guest only. This single room offers air conditioning, a fan and views of the city. Includes cable TV, a mini-bar and a private bathroom. 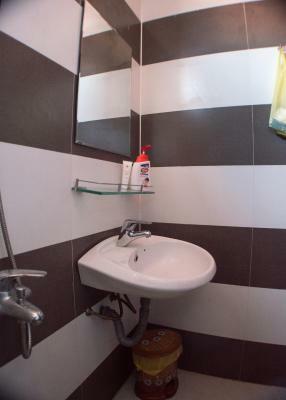 This double room offers air conditioning, a fan and views of the city. Includes cable TV, a mini-bar and a private bathroom. 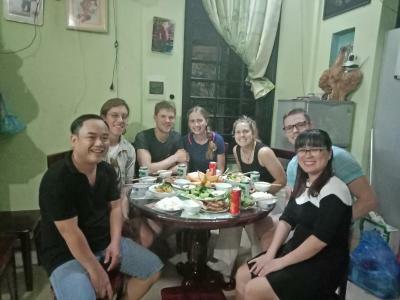 House Rules Hue Happy Homestay takes special requests – add in the next step! Hue Happy Homestay accepts these cards and reserves the right to temporarily hold an amount prior to arrival. The owner is an absolute legend. 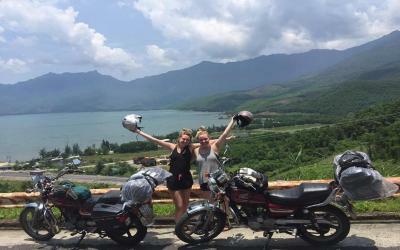 He and his wife are extremely helpful with the booking of tours and transfers to other area of Vietnam. 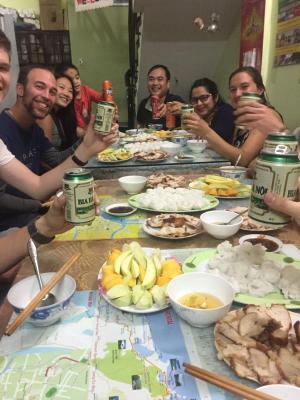 I was given Tea and a plate of fruit on arrival and felt at home the whole time I stayed. Would definitely recommend. Super friendly owner family caring for everything (laundry, tour recommendations+booking...). Delicious welcoming fruit and drink is served on arrival. 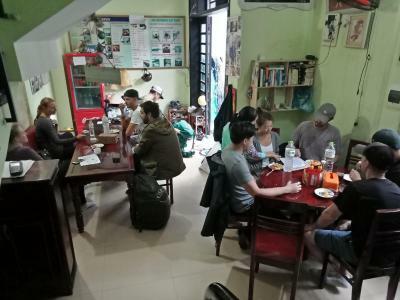 The homestay is located very central next to bars and restaurants but it is still quiet during the night which is good for sleep. 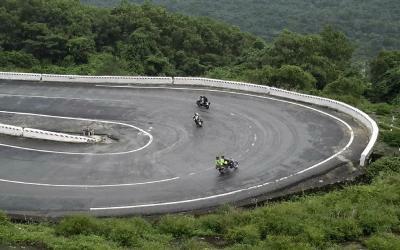 Fantastic place in the heart of Hue. Very friendly staff and great value. Good breakfast. Comfortable room. 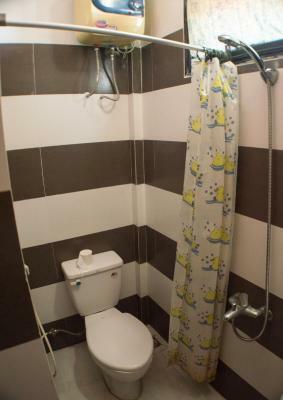 The bathroom looked like it had been fairly recently fitted. Highly recommended. The family is super friendly. We got a christmas gift :) The location is perfect. The breakfast is fine. Everything ! Staff were amazing and friendly. Location was really good. Wished we could of stayed longer. Breakfast and room nice. Clean. Good and comfy bed. Location perfect. Staff very helpful and nice! Totally worthy! Staff is amazing, location is perfect and price is more than fair. Nice homestay on a central location. Friendly and welcoming family. Good shower. I would recommend little bit bigger breakfast. I really appreciate owners attitude. They made check in for us in the morning about 8am without any problem. 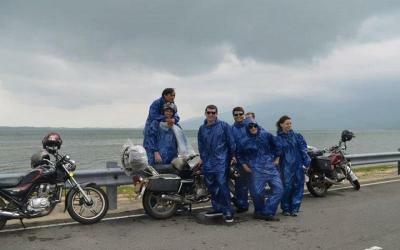 Also they provide us good price for bike rent. Good location in center of the city. Close to main part of city and to the night life. It wasn't as sociable as I was hoping it would be (being a solo traveller). The staff were friendly but didn't go the extra mile. Some of the decor wasn't to my taste. It was a good location and breakfast was nice.